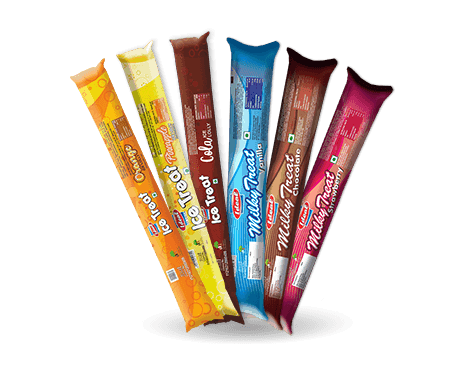 Prepared from fresh, natural fruits, chocolates, milk cream and the benchmark IDEAL’s recipe, our products come in a plethora of forms and flavours, such as Chocobar, Ice Candy, Kulfi Candy, Cup Ice Cream, Cone Ice Cream, Frozen Dessert, Vanilla Ice Cream, Chocolate Ice Cream and Cassata Ice Cream. 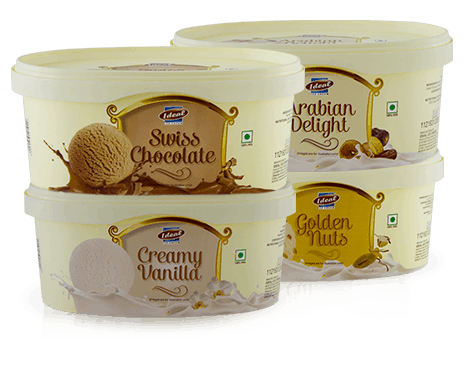 Embellished with a variety of fruits and flavored with rich crunch and chips, these Ice Creams are treat for your taste buds. 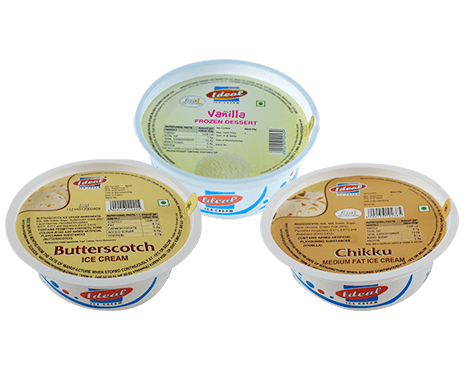 A well-integrated team of chefs work in tandem with our technicians, administrators, supervisors and workforce to develop, evolve and sustain the quality of our range of Ice creams. 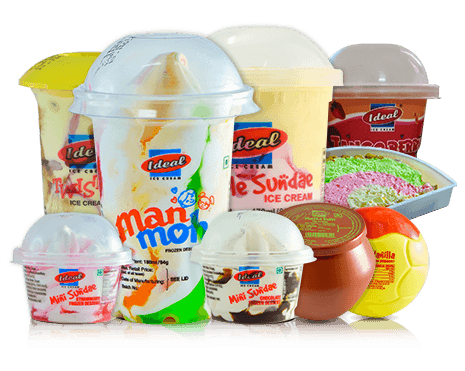 Our team is a perfect blend of knowledge, experience and expertise, working round the clock to adhere to our signature taste and quality. 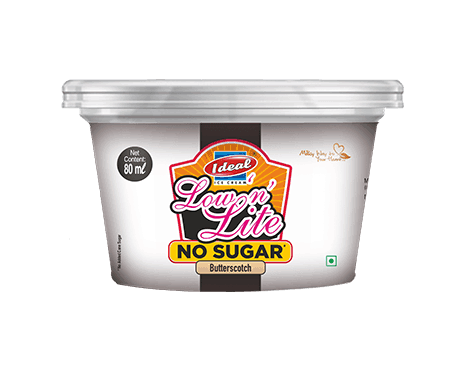 Manufactured with utmost stress on hygiene, special emphasis is assigned to the packaging of our products to ensure a longer shelf life. 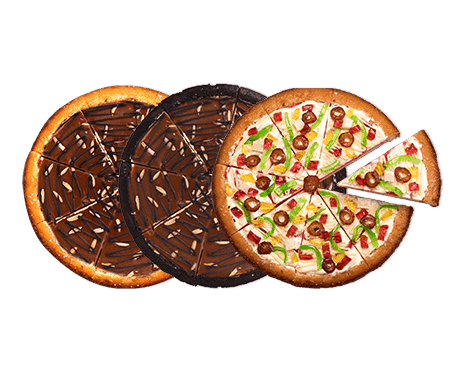 Our logistic network ensures that we meet every bulk and urgent client requirement – on time, every time. 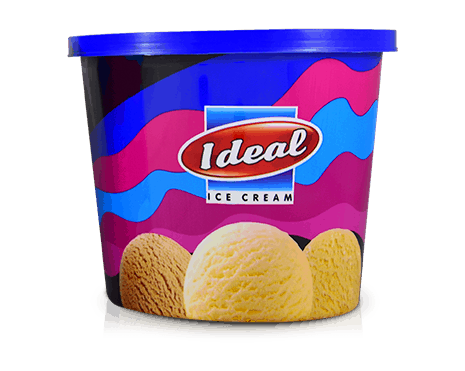 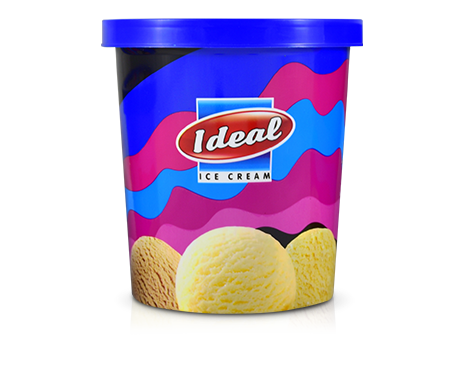 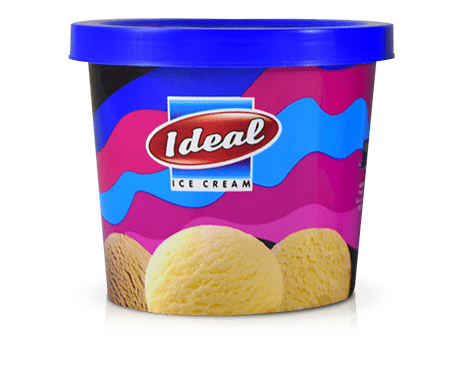 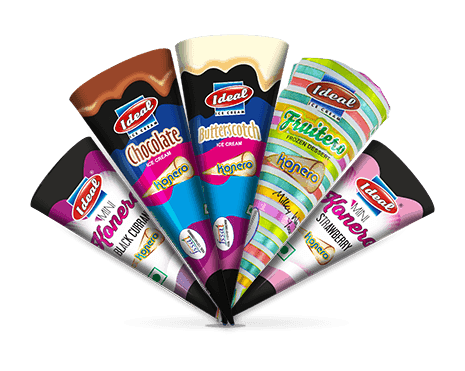 Ideal Ice Cream today is a leading and reputed Ice Cream brand loved by consumers across all segments of society and all age groups, alike. 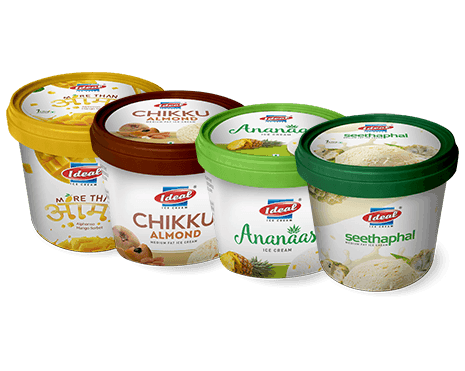 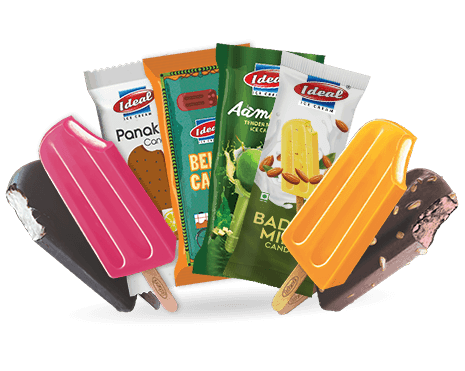 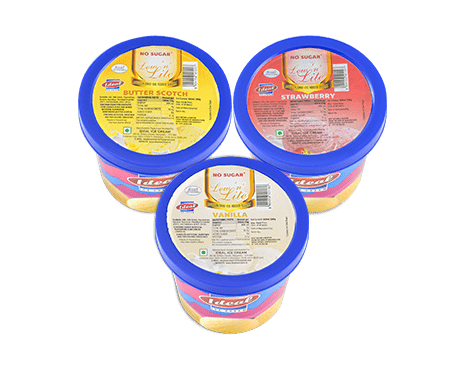 We have also attained market leadership in Family Pack Ice Creams and are renowned for our vivacious Sugar Free Ice Cream in the city and beyond.